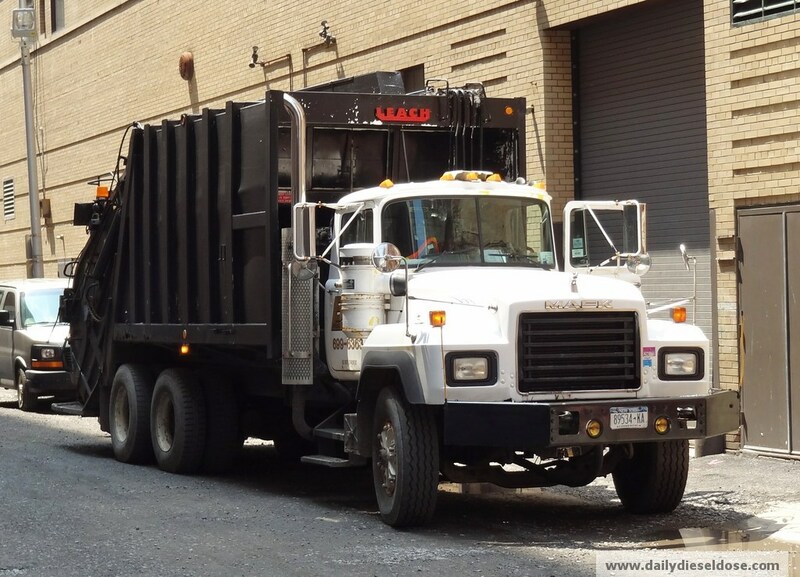 The garbage truck. The humble hero of the modern world. As a society where would we be without it? 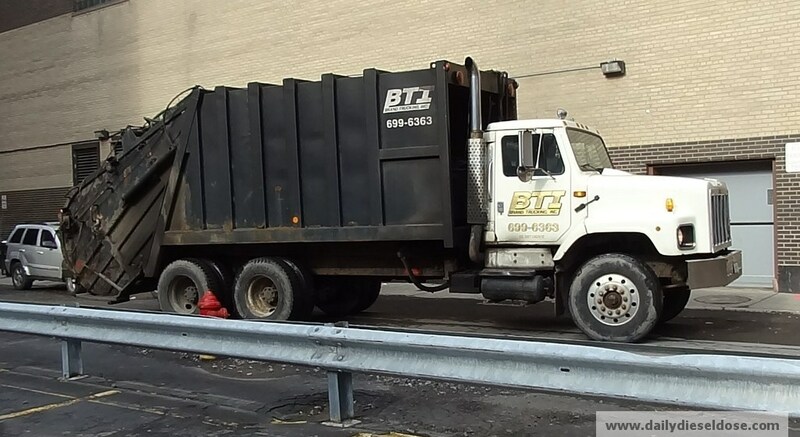 I’ve often wondered if garbage men (sorry ladies) have a time of year they prefer when it comes to collection. Weather in the summer is hot and humid so you know the smell and flies are off the chart. Winter would help reduce the smell and insects but you still have the generally poor weather to deal with. Maybe there is no ideal time. 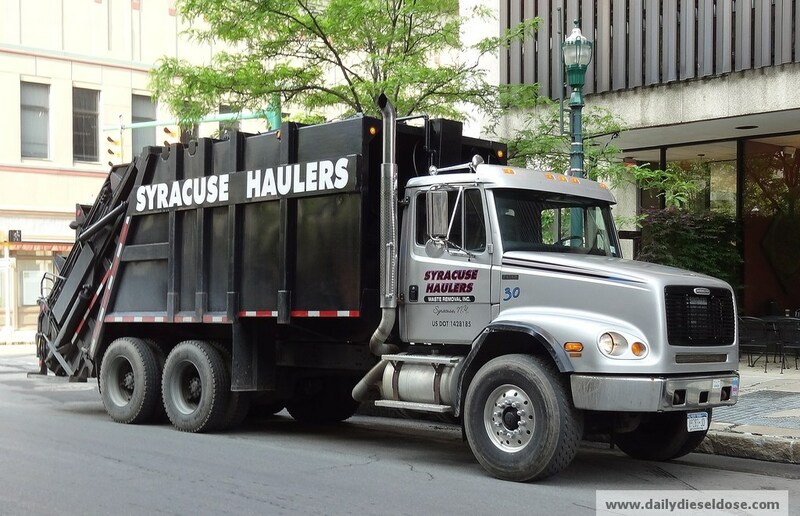 Below we have some trucks from Brand Trucking Inc. and Syracuse Haulers. I’ve seen the Mack roll-off around town many times before and I can report that the tag axle has always been without tires. 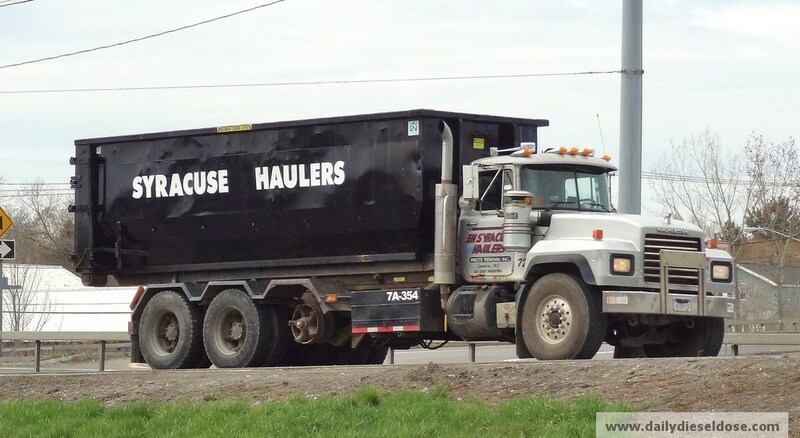 This entry was posted in On the Job and tagged brand trucking inc, garbage truck, syracuse haulers, trash truck. Bookmark the permalink.